My husband and I run Jervis Bay Rentals, a holiday letting business that specialises in luxury and high quality holiday rentals in the Jervis Bay region. Our company is licenced to provide these services, so you can be sure you're in the best of hands. This is more than just a business, it is a passion and lifestyle choice for us. We love helping people find the perfect holiday house for their time away. Jervis Bay Rentals is a family run business that evolved from managing a single holiday house Tiffany had purchased in 2005 through to servicing the growing demand for well managed high end holiday rentals. This Jervis Bay accommodation business has been running formally since 2010 and is a leader in the luxury holiday rental market of Huskisson, Vincentia, Hyams Beach and the broader Jervis Bay region. 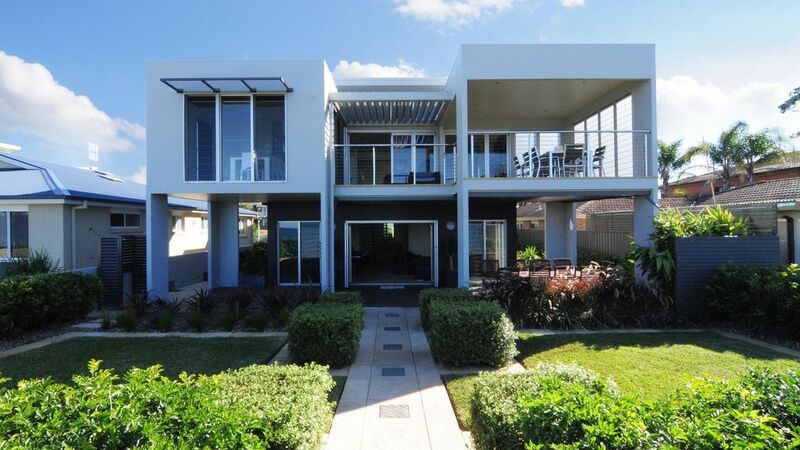 A well designed and laid out house, with different living and kids entertainment areas, plenty of light, open plan. The place was clean, and well equipped; especially with the little things that people often forget - salt, pepper, oil, sewing kit, beach tent, good selection of board games, torch, etc, etc. The beach shower and hose reel in the backyard are a great addition to the back yard. Only down side is the occasional cockroach and a few booklice in the raw wood of some of the tables, so some additional bug treatment from the caretakers would not go to waste. In general we had a fansastic time and will definitely be back! Very happy and will be staying there again! We stayed at Sunrise for a girls weekend and it was fabulous! This house is stunning and the location is perfect. We thought the house looked nice in the photos but it is 1000 times nicer in real life! The view is amazing and we even saw dolphins swimming past in the morning. - Sheridan towels and high quality linens and bedding. - Beach towels are provided which was great. I haven't seen this done at any other house I've stayed at before. - All of the bedrooms are beautiful and of equal standard so you don't mind which room you stay in. - Several nice seating areas inside and outside. - There are fans and air con. - Nice furniture and very comfortable lounges. - Lovely bottle of wine as a welcome gift. - The house is big and spacious. - Early check in and late check out. There were no guests in the house before us or after us so we were able to check in at 12 midday and check out at 2pm. We can't wait to come back to this house next year! Thanks Kathleen, such a lovely review. We'd love to have you back again! One on the best properties I have stayed in. Our every need was catered for and nothing was too much trouble when we asked for extras, including a cot, highchair and they supplied a baby walker without asking. If you are going to the Jervis Bay area, book this property. Thanks for your feedback Jeff, we are so pleased you enjoyed your stay! Thoroughly enjoyed our time in this gorgeous house. Attention to detail appreciated. The luxury of the surrounds, in and out, made it a great stay regardless of the weather. Location perfect. Can't fault it... AC as an addition for those very hot muggy days may be an option. Hi Nazareena, Sunrise now has Air-Con!